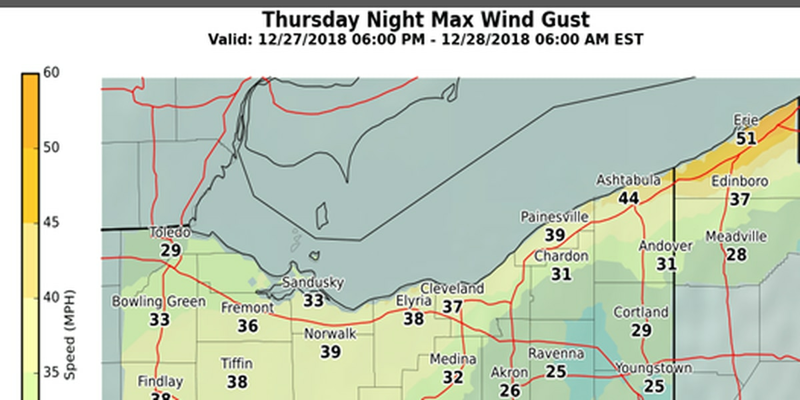 CLEVELAND, OH (WOIO) - The National Weather Service says gusty winds are expected across Northeast Ohio Thursday night, especially in regions closer to Lake Erie. A wind advisory has been issued for most of Northern Ohio as well as for Erie County, Pa. where wind gusts may reach 55 miles per hour overnight, according to the NWS. The main hazards of Thursday’s winds could include flying debris and strong crosswinds while traveling. Click here for the Cleveland 19 News First Alert forecast.